Date: Jan 5 2019, 6:30 p.m. - 11:30 p.m.
Let us watch the kids while you take a break during the day! Child & Youth Services will be offering Parent's Day Out from 10am to 3pm. Make sure your children 6 weeks to 17 years are registered with CYS to participate. 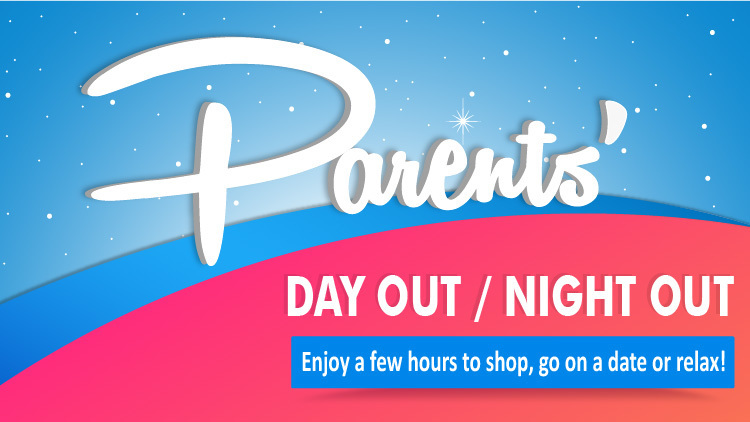 Parent's Day Out will be held the 1st Saturday of each month (except for April, June, and August). Don't let your kid(s) miss out on the food, arts/crafts, games, and fun activities that happen at Parent's Day Out. All children must be registered with CYS to partcipate. They should also be registered for PDO at least a week prior to the PDO date.